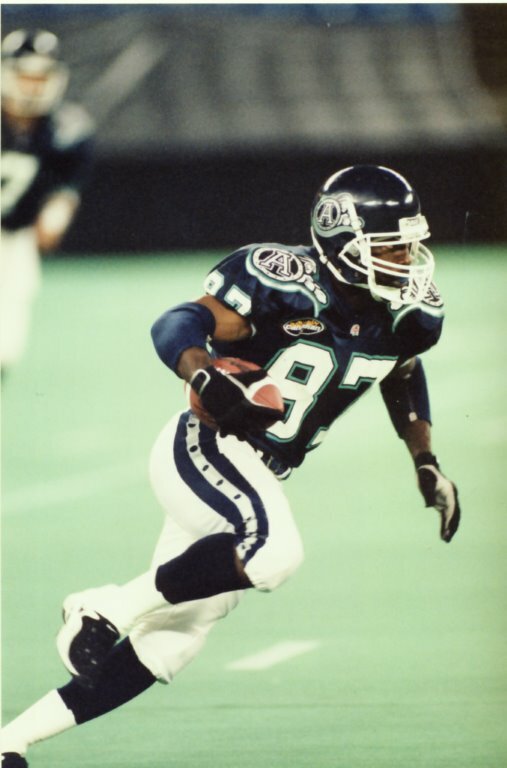 Derrell played for the Toronto Argonauts and the Edmonton Eskimos between 1997-2007, was a five-time east All-Star and three-time CFL All Star. He is 9th on the all-time receiving yards list with 12,014 and was CFL rookie of the year in 1997. He held many receiving records including most receptions in a season with 160 in 1998; six seasons with over 1,000 yards receiving; 47 career receiving games with 100 yards or more; and one career game of 200 yards receiving. Derrell appeared in two Grey Cup games, winning in 1997 and 2005.